Atlantic silversides prefer brackish water or salty water, but can tolerate changes in salinity. They can generally be found in dense schools along the shoreline, looking for food, or in beds of underwater grasses, hiding from predators. In the summer, they’re found along the shorelines but in winter, they swim in deeper waters to avoid low temperatures. Atlantic silversides can be found up and down the Atlantic Coast of North America, from the Gulf of St. Lawrence in Canada to the northeast part of Florida. Atlantic silversides are small fish that grow no bigger than six inches in length. They have a short head, large eyes and a small, toothless mouth. They have a slender body and rounded belly. The upper portion of their body is grayish-green in color, and their underside is translucent to white. Atlantic silversides have a metallic silver strip that runs along both of their sides, from which they get their common name. Silversides eat algae and small invertebrates, including crustaceans, worms, zooplankton, shrimp and insects. Predators include large predatory fish such as bluefish, mackerel and striped bass, as well as shorebirds such as egrets, gulls and cormorants. 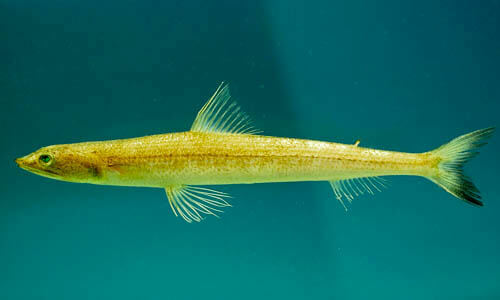 Smaller fish like the mummichog eat their eggs and larvae. To escape large predators, Atlantic silversides might try leaping out of the water. However, that attracts birds which are also predators. Silversides will also hide in underwater grasses or travel in large schools. 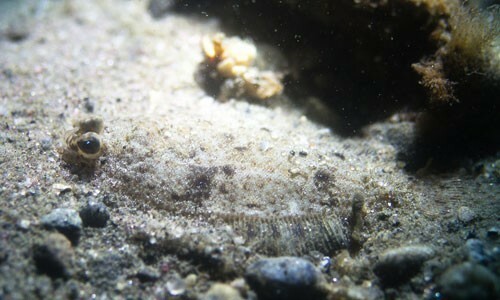 Their appearance, combined with the fact that they are quick swimmers, makes them difficult to see. Atlantic silversides breed from May to July. 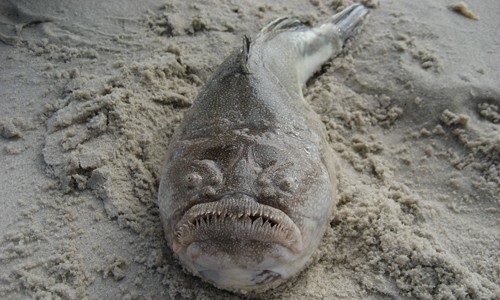 During a new or full moon and at the highest tide, they gather in schools to lay their eggs along the sandy bottom. Eggs hatch after five to 20 days, depending on the temperature. Temperature also determines how many will be male or female. Babies that are in cooler water 32 to 46 days after hatching will more likely be female, whereas fish that are in warmer waters will likely be male. Atlantic silversides can live to be two years old, but most die after one. This fish is also known as spearing, shiner, minnow and baitfish. The Atlantic silverside is what is known as forage, or fish food, because it is an important part of a bigger fish’s diet, such as the bluefish or striped bass. It is one of the most common fish in the Chesapeake Bay. The silverside is commonly studied because it is sensitive to extreme conditions such as low oxygen, temperature change and contaminants in water.